BSNL Nestham plan recharge 3G and 2G Tariff voucher of AP and TS circles customer frequently asked questions (FAQ). If we really focus on all BSNL prepaid plans available in Andhrapradesh and Telangana, this is one of the best prepaid scheme and customer choice mobile prepaid plans running across AP and Telangana Telecom circles. Its a Life time validity mobile scheme with a condition of Rs.200/- recharge on every 180 days. Other prepaid scheme customers can migrate to this plan easily at online recharge portal or help desk or any other channel partner shops. On regular basis available for every prepaid new connection or existing prepaid account customers to avail Unlimited benefits for lifetime. How to recharge bsnl Nestham plan? Mobile customers can easily recharge plan-voucher at online mobile recharging sites like Paytm, Freecharge, Mobikwik and Amazon mobile recharge. You can also visit at nearest bsnl-customer service center or outlets or bsnl-channel partners or bsnl-retail outlets to activate voucher. BSNL Nestham plan recharge AP or TS ? This FRC is exclusively available in both the states of India i.e for Andhrapradesh and Telangana circle prepaid-customers, whereas with same features and benefits other circles also offering plan in their local language names. 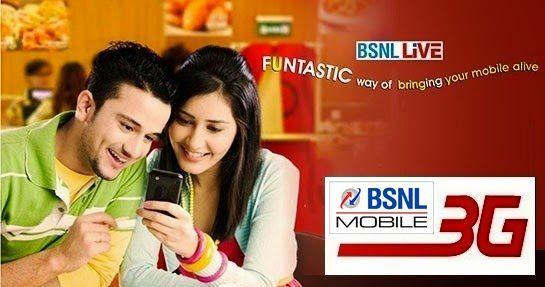 BSNL Nestham plan Sim Validity Extension Recharge? Mobile sim card customers can easily activate Voucher at the time of new mobile connection asking at CSC or else already subscribed to other plan can migrate to this scheme to avail Unlimited features and Free benefits comes along with lifetime validity offer. As per bsnl website information this plan is not limited period or promotional based scheme. It is a Regular Lifetime validity plan available for all prepaid mobile customers and applicable to every mobile account user. Revised BSNL Nestham plan recharge amount ? Nestham FRC is revised to Rs.109/- Erstwhile it is lowest price of Rs.29/-, here subscribe should note that PSU revised MRP amount is due to increase its mobile revenue as well to benefit prepaid customers offering free bundled talk value of Rs.90/- to be credited in customer main account prepaid balance. Can User Nestham plan validity extension recharge online ? Yes definitely, AP and TS mobile customer can easily recharge Rs.109 through online by visiting online recharge official bsnl portal without any signup or else other online recharge websites which offers discount, cash backs on every recharge or new signup.